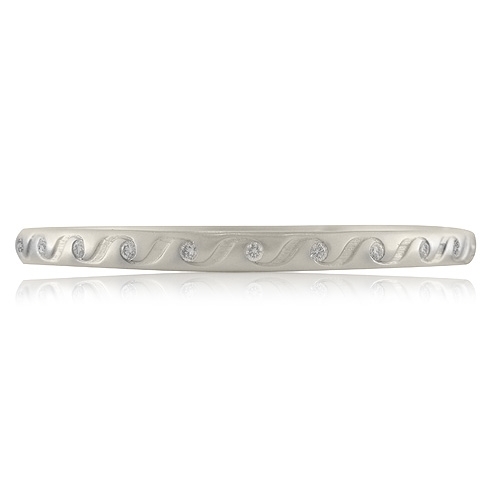 Brilliant white round diamonds set around bangle in 18kt white gold, linked by swirl engraving. 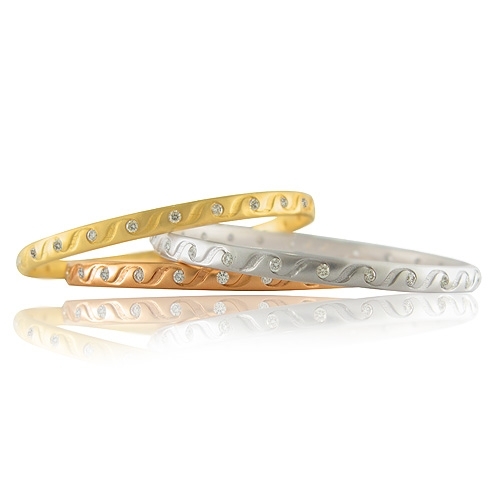 Diamonds approx. 1.36ct.